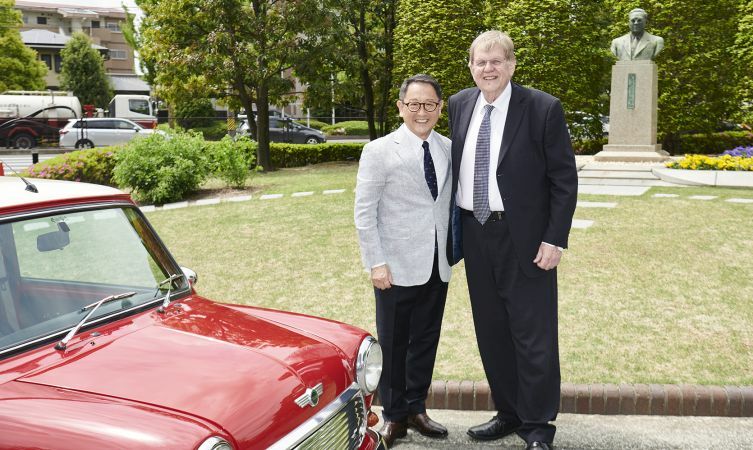 Akio Toyoda, the President of Toyota Motor Corporation, has been presented with the Issigonis Trophy, the highest personal honour awarded by Autocar, the world’s oldest automotive magazine. The trophy, named after the internationally celebrated car designer Sir Alec Issigonis, creator of the Mini, was announced at a ceremony hosted at the Silverstone Wing at the Silverstone Circuit on Tuesday 15 May. 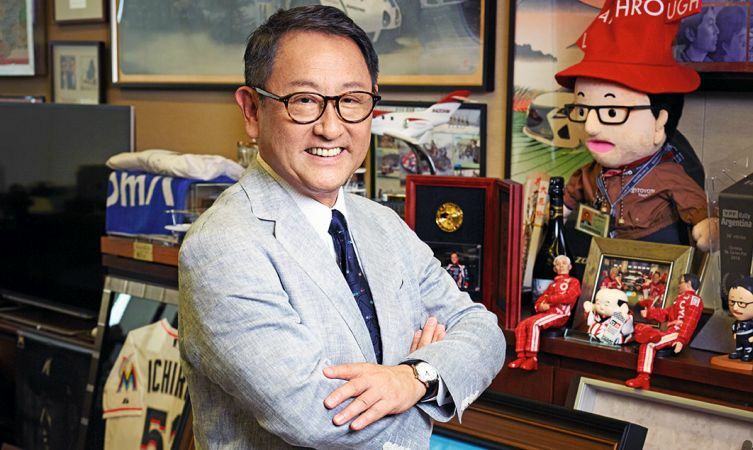 He paid tribute to his grandfather, Kiichiro Toyoda, the founder of Toyota, and said he was in fact accepting the award on his behalf, rather than for himself. Mr Toyoda took up the position of Toyota President in 2009 and has led the company in a programme of innovation and development that looks beyond vehicle manufacturing to find ways of providing everyone in society with the freedom of mobility. Under his leadership, the company pursues a mission of making ever-better cars, recognising the importance of the pure enjoyment of driving and drawing inspiration and excitement from involvement in international motorsport. At the same time, Toyota’s Environmental Challenge 2050 has set high targets for significant reductions in the environmental impact of every aspect of the company’s global operations and its products. Toyota seeks both to protect and enhance the environment and is a world leader in the development of electrified powertrains. It has continuously evolved its hybrid technology from the launch of the original Prius in 1997 to the delivery of Mirai, the world’s first hydrogen fuel cell electric saloon, a car that signals the potential great environmental benefits of a future hydrogen society. How many Toyota Hilux models have you owned? Japanese cars for the win!